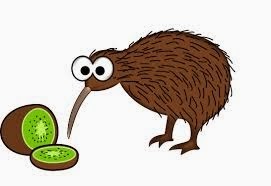 Way back in 2007, I wrote a blog post on "How to Speak Kiwi". I see that the post still gets quite a few views, so I thought I'd finally write an update. Eight years into this adventure, I still very much have my American accent. It is not really region-specific, except for the few times I drag out the "y'all" or say "Aunt" the Yankee way. Darren still has his accent too, although he (and many people in the US) seem to think it has faded quite a bit. We have both integrated many of the Kiwi words and phrases into our everyday speech, though. Kiwis are much more subtle than Americans, and don't care for superlatives or strong emotions. The word 'keen' is used if a person wants to express interest or show eagerness in a particular activity or to find out if someone else is "I want to see blah blah movie, are you keen?". And if someone does me a favor or a customer service person actually solves an issue, I typically respond with 'sweet!' or 'nice!'. Words/phrases used to congratulate someone are 'well done' or 'good result!'. Conversely, if something goes badly, the most common utterances are 'that's not ideal' or a simple 'stink'. To agree with someone, I often say the simple 'same!' instead of 'me too'. 'Cheers' is often used in place of 'thank you' - and Darren definitely uses it that way, but I only use it at the end of emails instead of the typical American use of 'Sincerely'. Speaking of emails, I am (mostly) used to addressing business associates by only their first names, but I definitely never say I will 'flick' an email to anyone. Flicking is for boogers. Another Kiwi term we frequently use is 'sorted'. It is an incredibly useful word, which can mean a project is done or a conflict has been resolved. I have also completely replaced my use of 'tons' with 'heaps'. 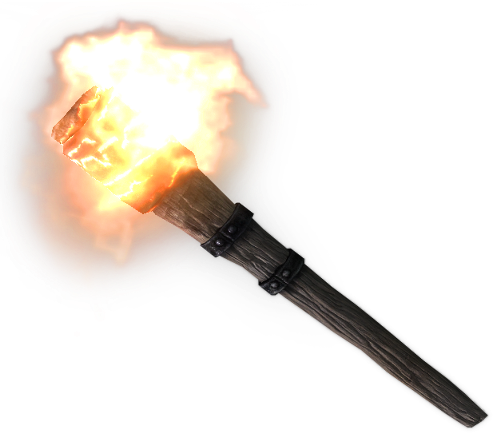 I still haven't gotten used to flashlights being 'torches' (all I can imagine is an actual torch with fire and monsters), or saying an item is 'on special' instead of on sale. 'Special' for me means...other things. And whenever I hear or read a news report about 'appliances' attending a fire, I can only imagine a heap of toasters, blenders, maybe even a couple stoves sitting on a sidewalk (err..I mean 'pavement' or 'footpath') outside a burning house. The news also reports crimes or other activities happen to an address 'in' a street, as opposed to on such-and-such street. As I read or listen, I always mentally correct the statement, as I just can't reconcile how a house or business is *in* a street. A word I've only come to hear in the last couple of years is 'paper'. Here, it means a university level course. Instead of saying "as part of my degree, I took an Economics course", one might say "I did a paper in Economics". Ah! That reminds me of an awkward exchange during my first few weeks of work: the newbies of the tax group were forced to do a weird comical role play in front of the rest of the group as sort of an icebreaker each year. Even though I wasn't a graduate, I was still expected to participate. I emailed a (Kiwi) coworker about my hesitation, and he responded "you'll be sweet". I immediately sent a text to Darren freaking out about such harassment. How *dare* this guy tell me to be sweet? What the hell?! Fortunately, Darren was already up with the Kiwi lingo and explained what it meant ('you'll be ok'). Phew! Something else I learned early on was that Kiwis don't describe poultry meat as 'dark' versus 'white'. Instead, you have to specify which part of the bird you are after (i.e. thigh, drumstick, breast). Fortunately, I only had one awkward experience before I learned this! Pronunciation of words can be interesting at times, too. [Disclaimer: not every Kiwi pronounces every word the same way]. Over the past couple of years, I've become acutely aware of words ending with 'wn' being pronounced with an extra 'e'. For example, 'known' = 'know-en'. I've heard this from random acquaintances as well as news announcers (!). Many French words/names are also mispronounced [read: 'herb', where the 'h' is pronounced! ], especially if they are street names, but 'debut' is always pronounced "day-boo" here. Even though both the UK and the US pronounce the word "day-bue", the original French pronunciation is followed here. And buoy! Americans typically pronounce those floaty things "boo-eee". However, here (and likely in the rest of the world), it is pronounced "boy". I giggle every time I hear it. I also giggle whenever I hear "duty" or "tainted", and most people I've come across here do not understand why. They just end up repeating "duty" several times in a row, as if the subtle difference in pronunciation changes how funny it is. It does not! It just makes it sound like a fancy version of "doodie'! And drawers - as in, dressers with drawers - is written and pronounced 'draws'. Drives.me.nuts. There are just two more letters! Two! Let's see...I still say 'elevator' instead of 'lift'; (movie) 'previews' are not the same as 'shorts' (to me); I haven't yet switched from saying parking lot/parking garage to 'car parks'; and 'plaster' instead of band-aid is too weird for me. Plaster goes on a wall. Oh, and we have a front lawn and a back yard...not two 'gardens'. For the longest time, I thought everyone spent their weekends maintaining beautiful gardens! And here's a two-fer: the kitchen counter is called the 'bench' here. And combined with the Kiwi accent, it sounds like "bEANch". When I first met Merrin, we were hanging out at Darrel's house, and I asked about a particular item. She stated it was on the bench. Since I was not quite familiar with the Kiwi accent yet, I had no idea what she had even said! She repeated it several times, until she finally said "kitchen bench". Now, Darrel's kitchen at the time was the size of a small closet, and there was NO way a stool would fit in there, much less an entire bench! Still, I wandered into the tiny room and found what I was looking for...on the counter. And thus, I had been thrown into the deep-end of the Kiwi language and accent! I haven't talked about accents (iksints) in donkeys years, but maybe I should. I haven't had the same reactions as you, though I have sometimes been caught out not knowing what people are talking about. And that STILL happens to me! I was once sternly told that "pavement" referred only to the road, not the footpath. I sometimes still forget, but I never say "sidewalk" anymore. The drawers v. draws thing doesn't bother me, but Kiwis saying "prop'ly" (properly) and "proppity" (property) do! "Plaster" for bandages is short for "sticking plaster", which some people do call them. When someone just says "plaster" I mentally ad "sticking" so I DON'T think of the stuff on the wall! I haven't heard the prop'ly or proppity, but your comment reminded me of how some Kiwis confuse the words "brought/bought". It takes all of my power not to correct them! So many times people have told me they 'brought' something at the store, and 'bought' it home. Agghhh!